With Star Wars: The Force Awakens, Disney has given the legendary franchise new life and they’ve gone full force going outside of the Episodes with spin-offs, the first being Rogue One: A Star Wars Story which takes place just before the events of A New Hope. As it goes, this is a solid entry into the franchise albeit it’s really the last third that saves it from mediocrity. Note: This portion contains MAJOR SPOILERS concerning the plot, so readers beware! 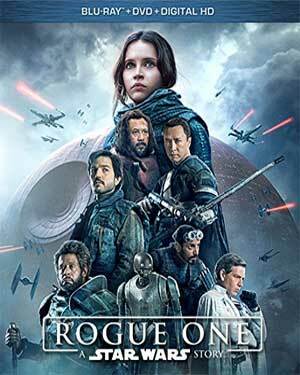 The plot follows Jyn Erso (FELICITY JONES), a young woman whose childhood was uprooted when her mother is killed at the hands of Imperialist Orson Krennic (BEN MENDELSOHN) following an attempt to bring in her father, Galen (MADS MIKKELSEN), to finish the development of the Death Star. 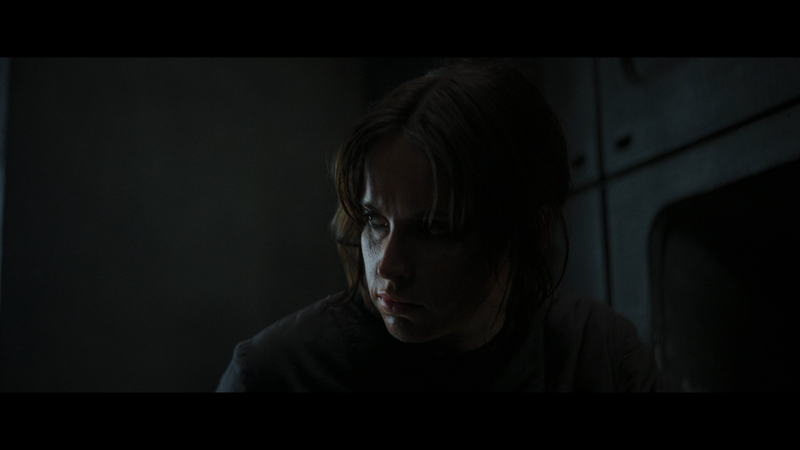 Jyn escapes the grasp of Krennic and his troops and at a young age, taken in by rebel leader Saw Gerrera (FOREST WHITAKER), though he would later turn her loose in fear she would fall into the hands of the Empire. She would spend her days stealing to get by. While in transport from prison, she’s rescued by Cassian Andor (DIEGO LUNA) and his trusty robotic sidekick, K-2SO (ALAN TUDYK), a former Imperial droid, and is taken to the Rebellion Alliance headquarters. There, it’s revealed an Imperial pilot has defected and in his possession is a holographic message from Jyn’s father with information about the Death Star and a critical vulnerability. The problem? The pilot, Bodhi Rook (RIZ AHMED), has been captured by Gerrera who has become cold and vicious over the years, leading a pack of resistance fighters, The Rebellion hope to use Jyn as a way to get a meeting with Gerrera and thus retrieve Rook and Galen’s inside info. Jyn reluctantly agrees and Cassian and K-2SO journey to Jedha. Meanwhile, we get some drama going on with the Empire as Krennic is being feeling the pressure by Grand Moff Tarkin (GUY HENRY with Peter Cushing’s face CGI’d on his) to produce results from the Death Star. And later we do get a visit from our favorite Dark Lord: Darth Vader (voiced again by JAMES EARL JONES). It’s part fan service but works for the plot especially at the end as the connective tissue between Rogue One and A New Hope. On Jedha, Jyn and Cassian are caught in the middle of a rebel vs. Storm Trooper fight and meet blind man Chirrut Imwe (DONNIE YEN) and his pal/protector, Baze Malbus (WEN JIANG). 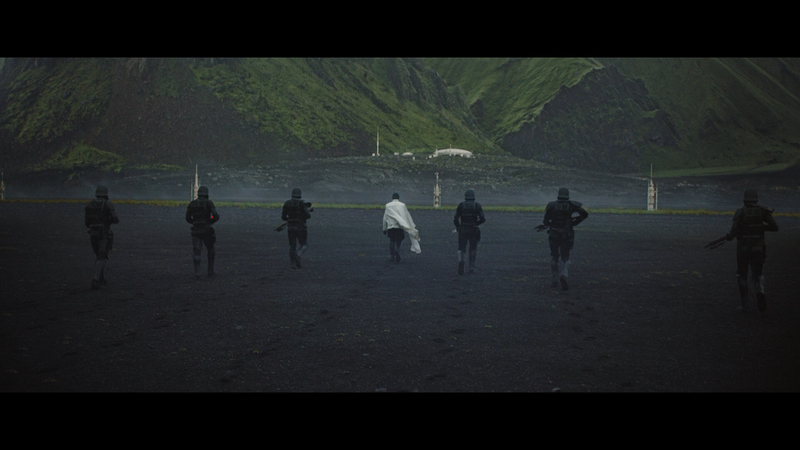 Following the fighting, the four are captured by Gerrera’s goons. 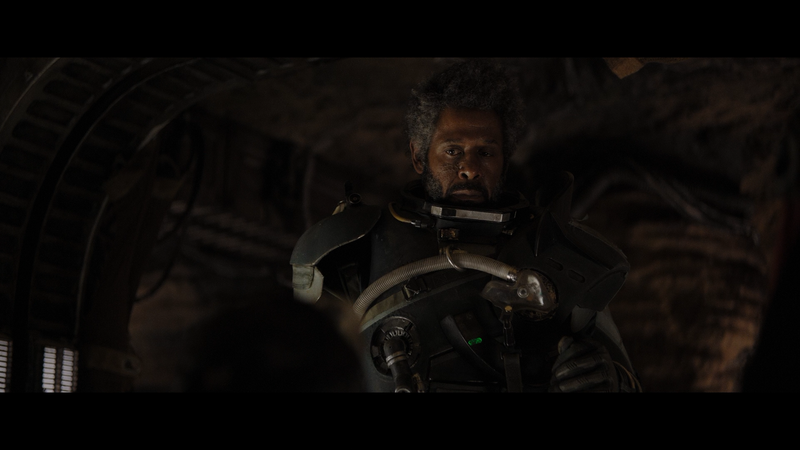 So, Jyn does reconnect with Gerrera and views the holographic message from her father, that in developing the Death Star, he has inserted a critical flaw that the Rebel Alliance can take advantage of. 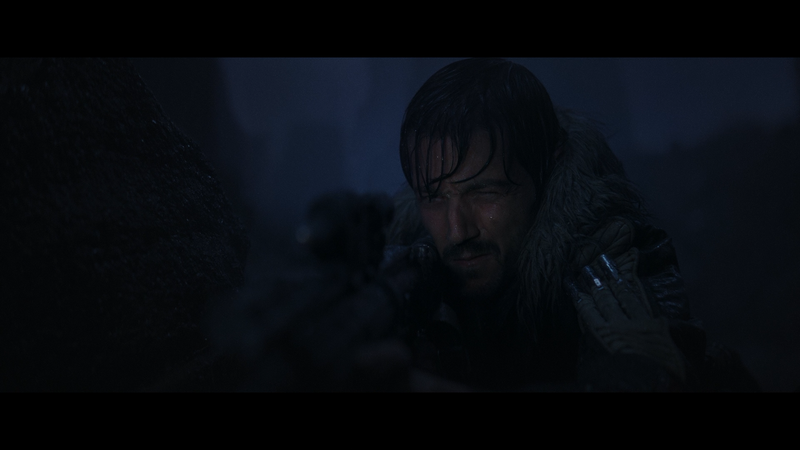 With Imwe and Malbus, Jyn and Cassian manage to escape following a successful test of the Death Star and, when the Alliance fails to agree on stopping the Empire, this rag-tag crew, under the call sign of “Rogue One”, must travel to Scarif to find the Death Star plans. Not sure if they’ll succeed or not… Hmm. 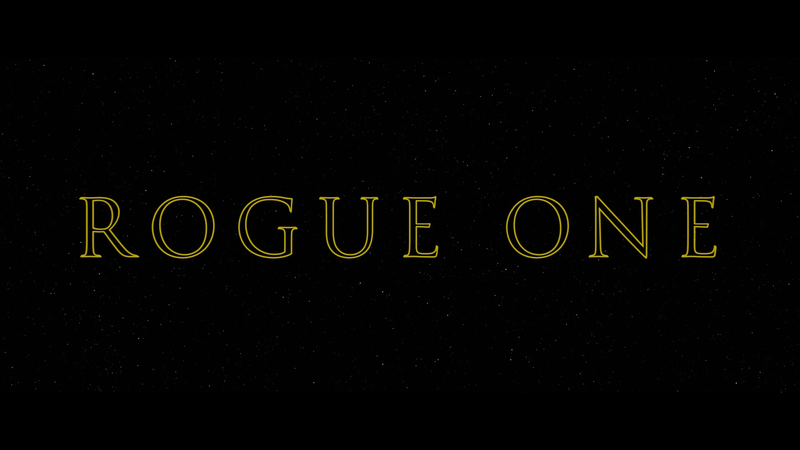 My first viewing of Rogue One a few months ago (in the theater), I felt was a good chapter in the Star Wars saga. My second viewing (at home) and, I pretty much had the same feeling, though in both instances, the odd pacing early on was a bit more glaring especially as we jump from one planet to the next. I also didn’t feel the characters were as well rounded compared with, say, The Force Awakens albeit in defense of the writers, the ones here don’t have the arc being one-offs whereas we’re going to get two more movies with Rey, Finn, Ren, et al. Felicity Jones and Diego Luna both were decent in the leads; Donnie Yen maybe was the coolest; and Alan Tudyk as our lovable droid was, well, lovable. Ben Mendelsohn as the villain was fine while hardly menacing but fills the necessary role well enough. Rogue One: A Star Wars Story was helmed by Gareth Edwards and supposedly 40% was reshot and while I don’t know what the original version was, and I wonder if we ever will (they could be holding back those deleted scenes for an Ultimate Collector’s Edition release), the result in a re-tooled final act was no doubt the saving grace of an otherwise lukewarm film. This release comes with a semi-embossed and reflective slip cover. Inside is a code for the Digital HD copy as well as a DVD Copy. A Rogue Idea (9:00) – The filmmakers delve into the reasons behind going with Rogue One as the first of the solo films. Jyn: The Rebel (6:16) is a profile on the female lead as played by Felicity Jones as the actress and others discuss bringing the strong character to life. Cassian: The Spy (4:14) – Diego Luna’s character gets the profile treatment. K-2SO: The Droid (7:43) – The loveable droid goes into the design into the character as well as what Alan Tudyk brought to the role. Baze & Chirrut: Guardians of the Whills (6:20) – Here we get info on the characters played by Donnie Yen and Wen Jiang. Bodhi & Saw: The Pilot & The Revolutionary (8:35) is a profile on Riz Ahmed and Forest Whitaker’s characters. The Empire (8:18) encompasses the various characters that comprise the evil empire, as well as Jyn’s father and his role. Visions of Hope: The Look of Rogue One (8:24) goes into the production, art and costume designs that were in keeping with the previous movies but hold up on their own. The Princess & The Governor (5:49) is about perhaps the more controversial aspects, that of bringing back actors in their younger form via CGI. Epilogue: The Story Continues (4:15) – We get footage of the premiere and more interview footage on the journey for the saga. Rogue Connections (4:31; HD) is behind-the-scenes featurette with some trivia of various characters and other things seen in other Star Wars movies. 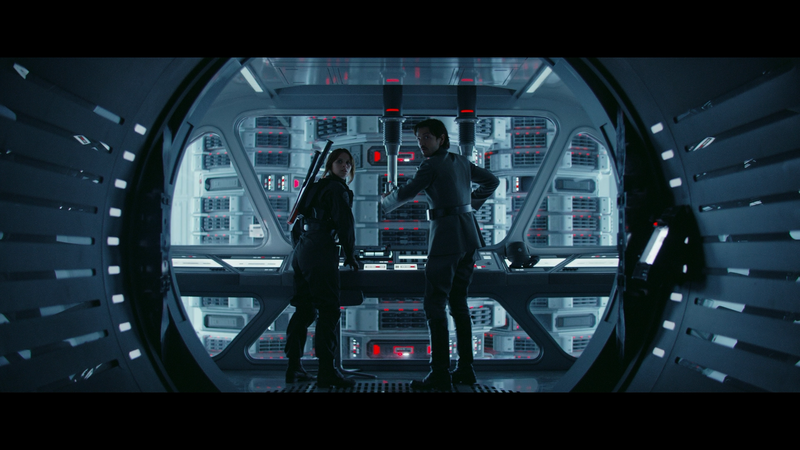 Disney releases Rogue One onto Blu-ray shown in its original 2.39 widescreen aspect ratio and a 1080p high-definition transfer from an MPEG-4 AVC codec. This is a fantastic looking transfer with a nice mixture of bright colors during the daylight sequences as well as stark blacks in the darker shots, such as a key sequence in the rain. Detail is sharp throughout and perfect with no obvious signs of artifacting, aliasing or other flaws. Based on my (limited) memory of seeing this in theaters, it pretty much matches up. The studio still hasn’t adopted the newer DTS:X or Atmos but the movie still comes with a strong and robust DTS-HD Master Audio 7.1 track which showcases both dialogue levels coming through the center channel quite clearly. The depth is on display through the numerous action sequences while the rear speakers are used for ambient or off-screen sounds as well as Michael Giacchino heavy track where we get some familiar notes from the original trilogy. 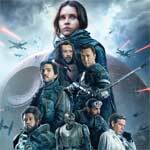 Overall, Rogue One is a solid entry into the Star Wars saga and while it’s not as strong as either the Original Trilogy or The Force Awakens both in story structure and characters, it’s still one hell of an entertaining sci-fi action-er especially a fantastic third act which more than makes up for its flaws. This Blu-ray released by Disney offers excellent video/audio transfers and although the bonus material is decent, the lack of deleted scenes or a commentary is a drawback and makes me suspect we’ll see some sort of “Special Collector’s Edition” release (perhaps to coincide with the Han Solo flick). Although I think 3.75 is being generous. The movie lacked any character devlopment. The common excuse of oh they die at the end is a lazy excuse imo. A good movie requires good character devlopment and this movie has almost none. While not a terrrible movie, I gave it a rating of 2.75, Force Awakens being a superior star wars movie. Im waiting for the November 3D blu ray release which im hoping will have the alternative directors cut as iv heard there was almost 2 movies shot, Disney forcing him to reshoot after almost being complete. IDK, character development wasn’t the problem, interesting characters were. Like I said, if it weren’t for the third act battle sequence, I probably would’ve dropped it down to a 3/5. And yes, I would love to see a director’s cut but who knows if we’ll get one. At the very least I hope they give us the deleted footage to see what could have been.